Dub Web Fest launches on Friday, 20th November, Indie Cork launches new International Short Film Prize and psychological drama ‘North Circular Road’ selected for 2015 Monaco International Film Festival. Dub Web Fest will launch on Friday 20th November in partnership with Filmbase in Temple Bar. The festival showcases an eclectic programme of Irish and International Web Series during three days of masterclasses and panels. These workshops hosted by noted professionals in the film, TV, video and production industries will provide the opportunity for networking sessions, discussion and collaboration among directors, writers and producers from all over the world. This celebration of online storytelling and digital series will culminate on Sunday 22nd with the Official Dub Web Fest Awards Ceremony. There is also an after-party planned for guests at The Liquor Rooms of the Clarence Hotel. Dub Web Fest has also announced that award-winning Dublin comedian Donal Vaughan will host the ceremony. The talent, dedication and passion of online film makers and digital creators will be recognised with awards presented in the categories, Pure Irish, Comedy, LGBT, Sci-Fi, Music Video, Documentary, Drama and many others. The judging panel includes producer Edwina Forkin (Swansong), cultural journalist Clara Rose Thornton (RTE Arena), and award-winning cinematographer, Bob Gallagher (Girlband). The award ceremony will kick-off at 8pm in Filmbase. The entertainment will continue in the bourbon bar of The Liquor Rooms where guests will while the night away and to the sounds of popular house DJ Salacious. 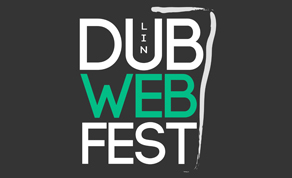 Final tickets for the Awards Ceremony, and all other events at Dub Web Fest can be purchased here. IndieCork Film Festival has announced a new international award for the short film. The ‘Short Film Of The Year’, the first of its kind, will be selected by festival programmers across the world. The short-listed films will be announced on December 10th and the Short Film Conference ‘Short Of The Year 2015’ will be announced on December 22nd, International Short Film Day. For further information contact Award Coordinator, Mick Hannigan at Tel 085 885 4736 and mick@indiecork.com. Independent Irish feature film ‘North Circular Road’ has been selected for the 13th Angel Film Awards at the 2015 Monaco International Film Festival. One of Europe’s premier film festivals, the Monte Carlo-based event is a celebration of non-violent films and distinguished guests in the past have included the Dalai Lama. Selection for the 2015 Monaco International Film Festival caps a hugely successful year for ‘North Circular Road’, the debut feature of director Donal Nugent. The film had its official world premiere at the UK’s East End Film Festival 2015, one of the UK’s largest film festivals, and was nominated for several awards, including best director, at the 2015 Melbourne Underground Film Festival. A psychological drama, ‘North Circular Road’ is also a strongly female-centred film and, according to producer Kathy Horgan, easily passes the well-known Bechdel-Wallace test, which requires a film have at least two named female characters who talk to each other about something other than a man. ‘North Circular Road’ stars Lorna Larkin (The Light of Day) and Pat O’Donnell (Tin Can Man, The Looking Glass) and tells the story of weather forecaster Janice Cadogan, who begins to see disturbing visions of a troubled couple in her new home. Co-starring Patrick Molloy (Game of Thrones) and German actress Vanessa Richter, North Circular Road is described as a “suspense-filled drama with a brilliant twist”, brought to screen by producers Kathy Horgan and Michael Parle (star of Night People) of Dark Window Media. An Irish cinema release for North Circular Road is currently being planned.